Austrian Chancellor Kurz visits Pope Francis at the Vatican in March. A strong example of this trend is Austria’s new chancellor, Sebastian Kurz. He is a staunch Catholic, and outspoken about the fact that his religion guides his politics. That is the Holy Roman Empire! It has a religious history full of unparalleled, bloody warfare. And that is mild compared to what is coming. Bible prophecy tells us that empire is about to start a nuclear World War iii! Kurz is only 32 years old, but he captured the imagination of his countrymen, and they promoted him to lead the nation. He is close to the archbishop of Vienna, Christoph Schönborn, whom several authorities believe could become the next pope. When he was foreign minister, Kurz sought the counsel of a Catholic priest on how to deal with the migrant crisis. The actions he took after that meeting actually stopped the influx of migrants into Germany and Eastern Europe. German Chancellor Angela Merkel opposed his actions, calling them anti-humanitarian. But Kurz believed his actions aligned with his Catholic faith. Until the end of this year, Sebastian Kurz is president of the European Council, one of the rotating presidencies leading the European Union. Kurz’s main goal as Council president is summarized by his motto for the presidency: “a Europe that protects.” He wants to protect Europe—mainly from unwanted refugees and a lot more. And religion directs his politics. He is bringing religious talk into the European Council. This is hardly the first time that religion has been featured in European politics. In fact, Kurz is just trying to resurrect a role that his native Austria played for centuries: as the heart of the Holy Roman Empire—the most powerful and infamous church-state combine in all human history. Under Chancellor Kurz, this imperial heritage is again gaining emphasis through a giant publicity campaign. If you want to know what Kurz believes and what he is going to do, you need to study the history of the Holy Roman Empire. For more than a thousand years, Europe has been home to emperors who claimed to be the successors of Roman emperors. Each worked to unite Europe under the imperial crown. From the mid-16th century until around 1800, the seat of these emperors was Vienna, Austria. One of the earliest emperors of the Holy Roman Empire was Charlemagne. His empire included much of what is now France, Germany and Austria. Under threat from the east, Charlemagne founded the “Ostmark,” a region where the Alps form a natural, defensive line against the eastern Slavic people. The Ostmark formed the core of modern Austria and is where it gets its name. This modest beginning laid the groundwork for Vienna to rise as the heart of the Holy Roman Empire. “Charlemagne endeavored to bring unity and peace to his empire—whose borders corresponded roughly to what today is Central Europe—that was established through crusades and interest-driven politics,” Vienna’s Imperial Treasury wrote at the start of Austria’s presidency of the Council. “As such, he may be regarded as the father of Europe, as is recalled annually in Aachen by the award of the city’s International Charlemagne Prize” (emphasis mine throughout). Now, this Holy Roman Empire heritage is on display. Not since Germany’s sixth head of the Holy Roman Empire has it been so publicly promoted. You must understand where this is leading! This exhibit is designed to showcase the heritage of the Holy Roman Empire. It is being promoted throughout Vienna with photos of the imperial crown. This crown is also the main symbol portrayed on the outside of the exhibit. The recent publicity of Charlemagne and the Imperial Crown demonstrates the rise of the holy roman empire. Austria’s leaders want people to know about the Holy Roman Empire! There are 28 nations in Europe; some of those nations may dislike the emphasis on that empire. But watch—it is going to be promoted regardless! Kurier, a German-language newspaper, published an article on June 26 titled “Holy Roman Empire, Hallelujah!” Speaking of “the cultural program of the Austrian EU presidency,” this paper called it a religious undertaking that Austria is helping to install in Brussels, European Union headquarters. It quoted Austria’s Minister of Culture Gernot Blümel saying this about the exhibit promoting Europe’s heritage: “[I]t is excellent to use the imperial crown as a possible symbol,” as it embodies a European history (Trumpet translation throughout). They are promoting the crown of the Holy Roman Empire as a symbol of Europe’s history. Otto von Habsburg said of that crown: “We possess a European symbol which belongs to all nations of Europe equally. This is the crown of the Holy Roman Empire, which embodies the tradition of Charlemagne.” This imperial crown, with its strong connection to Charlemagne, is the primary symbol of the empire. That German-language article continued: “The name ‘reich’ [meaning ‘empire’] is derived from the claim to continue in the tradition of the Roman Empire, legitimizing the rule as God’s holy will ….” Yes—this was the view that drove the Holy Roman Empire’s imperial conquests! Charlemagne had absolute authority and he used it like a dictator, supposedly with God’s blessing. God commands, Thou shalt not kill.Yet Charlemagne went out and killed by the millions, thinking he was serving God! What an unusually frank and true statement! The Holy Roman Empire is militaristic to the core! It has started some of history’s bloodiest wars. But how many people really know about it? Why do so many Europeans today celebrate that? The Holy Roman Empire killed 40 million people in the Middle Ages. That is history we need to know. If we really knew this history, we would be deeply alarmed by what is happening in Europe today. Europe has a bloody heritage and an even bloodier future. 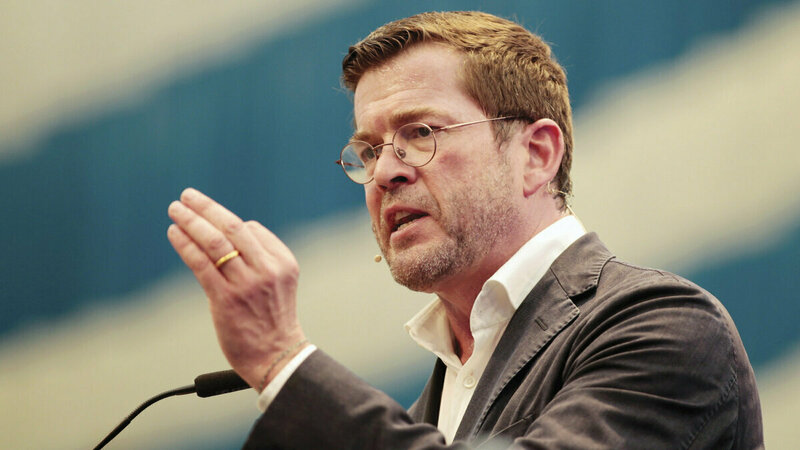 One of Germany’s most popular politicians, Karl-Theodor zu Guttenberg, told attendees at a 2017 campaign speech in Bavaria that if they don’t “recall where we came from, what our history means,” then other cultures will come in and define them. He urged them to remember their history “with its dark and bright sides” and to take a “non-apologetic stand for our culture.” He was talking about the history of the Holy Roman Empire! More and more Europeans are seeking to return to this history of Charlemagne. They have some gigantic crises and they are crying out for a strong leader like Charlemagne! Of course, they disregard the reality that Hitler also led a resurrection of the Holy Roman Empire! You cannot truly understand the Holy Roman Empire unless you understand history—and the Bible. Most are blinded and lack true understanding on both these vital sources. Having a good grasp of the Holy Roman Empire and what is happening in Europe today is vital if you are going to be prepared for what is coming in the near future. History has witnessed four world-ruling kingdoms. The final kingdom was the Roman Empire, which fell in A.D. 476. Herbert W. Armstrong’s booklet Who or What Is the Prophetic Beast? explains the imagery of the symbols for the empire in Bible prophecy. Prophecy depicts the Roman Empire as a beast with 10 horns, symbolizing 10 successive governments. The first three horns were ruled by barbarians. The final seven were ruled by the Holy Roman Empire. Each of those resurrections was saturated with bloodshed. Does that sound like a “holy” alliance of church and state? The first ruler of the Holy Roman Empire was Justinian. Under his leadership, people were not unified and the empire was weak. But then Charlemagne came on the scene, and he harnessed the power of the Roman Catholic Church to unify the people. He formed the First Reich of that Holy Roman Empire. Adolf Hitler looked to Charlemagne as a hero. He called his rule the Third Reich. Hitler started World War ii, which led to the death of 60 million people! Revelation 17 prophesies of a great empire rising in the end time, directed by a great false church. The Catholic Church will be allied with the European power as a church-state combine—as it has been repeatedly. Religion has been the driving force of the Holy Roman Empire’s conquests. “And there are seven kings: five are fallen, and one is, and the other is not yet come; and when he cometh, he must continue a short space” (verse 10). This is the central verse that expresses what is happening in the Holy Roman Empire in this end time. God says that after five are fallen, He would send a man on the scene: Herbert W. Armstrong. At that time, Adolf Hitler was leading the sixth resurrection of the Holy Roman Empire, which is the “one is” in verse 10. The seventh resurrection has “not yet come,” but the revival of that empire is happening today! And remarkably, as they are reviving it, Europeans are doing something they have never done since the vile and murderous sixth head: They are publicizing the Holy Roman Empire! They don’t publicize what Adolf Hitler did; too many people remember that bloody history. Instead they cloak it in the tradition of Charlemagne. And yet it is the same story! Not as many people died in the first Reich because they didn’t have the same military technology then. But it is the same ambition! This beast has fallen and risen again repeatedly. After the terrible devastation of World War II, Franklin Roosevelt and Winston Churchill vowed to never allow Germany to rearm and become a militant people again. Germany was smashed and almost every city was left in heaps of destruction. Hundreds of thousands of Germans were taking what sparse belongings they had and were trying to somehow survive. You would think people would learn a lesson from that. But most people have forgotten what happened. Europeans are publicizing the Holy Roman Empire. They don’t publicize what Hitler did—they cloak it in the tradition of Charlemagne. yet it is the same story. Right after World War II ended, Herbert W. Armstrong prophesied that Germany would rise again in one final resurrection of the Holy Roman Empire. Verse 8 tells us this beast went underground, but then will “ascend out of the bottomless pit.” When Germany was in ashes, Mr. Armstrong boldly proclaimed this prophecy. Sure enough, the Germans went underground, with most of the Nazis escaping through the ratlines of the Catholic Church! Brian Connell wrote that two years after their defeat, in 1947, the Germans were told to de-Nazify themselves. 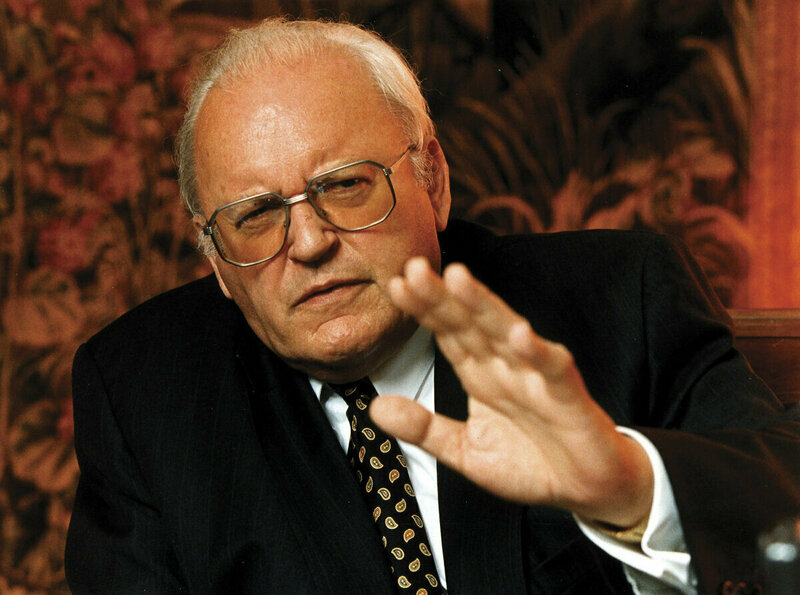 Then in 1996, a stunning intelligence document was finally declassified, revealing that German companies like Volkswagen, Messerschmitt and others actually planned to raise up another Holy Roman Empire. That is incredible determination! Yet that is how the European powerhouse operates. Even after watching their own people suffer during World War II, they have the determination to resurrect their bloody ambitions once again. Germany has repeatedly reemerged as a devastating military power. We are seeing that beast rise again today! Look at Europe: Germany is once again at the helm! A rearmed and militant Germany will prove to be one of the United States’s biggest nightmares! Revelation 17 tells us exactly what is going to happen in the last two resurrections of this empire. It is extremely sobering—yet we must see that God is orchestrating all this as correction for His people. “For God hath put in their hearts to fulfil his will, and to agree, and give their kingdom unto the beast, until the words of God shall be fulfilled” (verse 17). God has put it in the mind of this violent empire to straighten out America, Britain and the Jewish nation in the Middle East. That may seem strange, but it is what God has to do to get rebellious people to repent! Bible prophecy makes clear: Soon, Europeans will get exactly what they are asking for, another Charlemagne-type leader. This man will come to power and set himself up as a strongman over all Europe. He will effectively hijack the European Union! “And in the latter time of their kingdom, when the transgressors are come to the full, a king of fierce countenance, and understanding dark sentences, shall stand up” (Daniel 8:23). This prophecy is for our day today. Are we in a time when “transgressors are come to the full”? Can you think of a sin that is not being committed? This man who is about to emerge on the scene will be a man like Charlemagne. He will be a man like Hitler. He will be a “king” sitting on the throne of the Holy Roman Empire! And the Bible makes clear, he will be led by Satan the devil! Sebastian Kurz could possibly fill this role. However, I believe it will be a man like Karl-Theodor zu Guttenberg, who actually holds the title “Baron of the Holy Roman Empire.” Daniel 11 describes this man as being eloquent and coming to power by flatteries. Merkel’s coalition in Germany is very weak; it is on the verge of failing. I believe when Merkel leaves office, you will see the strongman of the Holy Roman Empire get control. Guttenberg is one of Germany’s most popular politicians. He could be poised and ready to step in and save Germany from its weak and shaky government. However, knowing the exact identity of this man doesn’t matter. What matters is that he will get his power from Satan! Scripture reveals the spiritual force that will be behind this man. Most people don’t want to hear about Satan. But if you want to understand the Bible and Bible prophecy, you have to discuss the devil. But how many people really want to know what the Bible says? The only reason we have been able to warn for so many years about what is approaching is because we look to the Bible, which is Jesus Christ in print. Regardless of who the strongman is, it is clear that we are seeing a revival of the Holy Roman Empire in Europe in a way that has not been promoted before. Austria wants to bring that heritage back to life. This strongman will sit on the throne of the Holy Roman Empire. With all the recent publicity of Charlemagne and the imperial crown, you are seeing the rise of that throne in Europe! At the same time that this throne is being resurrected in Europe, God is establishing a righteous throne in His Church! The throne in Britain today was once God’s throne, but no longer. That may sound utterly fantastic, but it is true. And you can prove that. Request my free book The New Throne of David for more information. God has given His very throne to this Church. There is a new throne of David! And you are seeing these two thrones rise at the same time. One throne is led and controlled by Satan the devil, and the other is in this Church led by Jesus Christ because it is the very throne that He is going to return to! That king of fierce countenance will fight the Messiah at His coming. Satan hates that we now have the throne that is going to replace his. He has great wrath against the people that are now sitting on that throne, and he is going to inspire his king to come against the King of kings and Lord of lords. When that happens, you’ll finally see the destruction of the Holy Roman Empire forever. That is going to happen very soon! We cannot predict or set dates; only God knows the day or the hour. But God warns us that we had better know when it is at the door! We must be watching and praying.